Chasteberry tea is a delicious way to ease PMS discomfort. If you suffer from monthly, mentruation-related headaches, mood swings or tender breasts, chasteberry tea may be your solution. Used for many millennia, chasteberry tea has a proven reputation for easing women’s discomforts and reducing men’s libidos. The chasteberry tree, also known as Vitex agnus castus, produces the chasteberry fruit, a red and black berry, which is what chasteberry tea is made from. 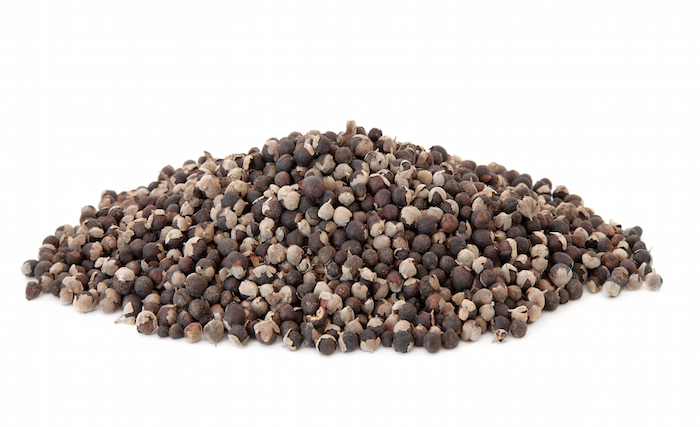 The fruit has many names including monk’s pepper and vitex. Many people use these interchangeably. The chasteberry tree may grow as tall as 22 feet in Europe and the Mediterranean and has bluish-violet colored flowers. The chasteberry tree has made its way into the Southeastern United States, and originally may have been brought there for ornamental decorations. What is Chasteberry Tea Good For? The hormone-regulating benefits of chasteberry tea present natural, ayurvedic way of quieting the body’s chaos. Especially for women, since symptoms resulting from PMS such as bloating, fatigue, irritability and headaches can be debilitating at times, chasteberry offers a simple solution. Chasteberry tea is a natural way to reduce your discomfort and improve your health. What Does Chasteberry Tea Taste Like? Chasteberry tea has a peppery flavor, which is where the nickname Monk’s pepper originated. You can lessen the pungent taste by combining it with honey or mint. Other ways to change the flavor include adding sugar or lemon or mixing it with another of your favorite flavorful teas. Chasteberry tea works best when combined with a healthy diet that includes consuming a lot of water. Your body needs time to adjust to hormonal changes, which can take up to six months, and keeping it on track with diet, hydration and exercise goes a long way to boost the effectiveness of chasteberry tea. Pair chasteberry tea with peppermint tea to calm the peppery flavor and boost your energy. You can also try combining chasteberry tea with other berry teas such as raspberry or strawberry if you enjoy the fruity flavors. Since chasteberry is also used to help increase urine production, you can combine the herb with a diuretic tea such as dandelion to boost the urine-producing benefits. It pairs well with many teas including green tea, so do not let the strong flavor detour you from enjoying the benefits. The main active properties of the chasteberry fruit are flavonoids which include casticin, kaempferol, orientin, quercetagetin, and isovitexin. Flavonoids are powerful anti-oxidants which can boost your immunity and your overall health. Chasteberry also contains iridoid glycosides, such as aucubin and agnuside, which have anti-diabetic effects. In other words, the tea can help to regulate your blood sugar. It combines well when taken with Vitamin B6 to help reduce the effects of PMS. Are There Any Side Effects from Chasteberry Tea? The side effects from chasteberry tea are few but can include headaches, dizziness, tiredness, dry mouth, extended menstrual cycles, stomach discomforts, or an allergic rash. If you experience any of these, discontinue using the tea and seek the guidance of your physician. Chasteberry should not be combined with synthetic hormones such as those that are contained in birth control pills or other hormone replacement therapy medications. If you are currently under medical care for menstruation, menopause, or fertility, check with your physician priori to drinking chasteberry tea. It may also interfere with medications used to treat Parkinson’s and depression. Usage during pregnancy is also not recommended, so please check with your physician before beginning this or any other herb supplementation. A typical chasteberry dose is 20 to 40 mg per day. To prepare the tea, combine 1 teaspoon of ripe berries with 8 ounces of boiled water. Let the tea steep for 10 to 15 minutes; let it cool; drink it three times a day. Who Can Benefit from Chasteberry Tea? Men and women both benefit from the healing properties in chaseberry. Women, however, receive more of the hormone-balancing benefits by noticing a reduction in PMS symptoms. 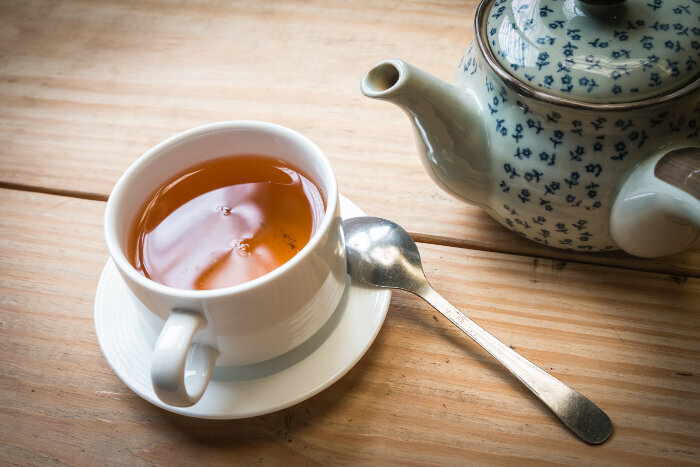 Men who are in professions such as working in the monestary or serving as priests, may also benefit from the libido-suppressing benefits of chasteberry tea. PMS can be a crippling condition or at least an upsetting one. When you do not feel like yourself for one week out of every month, it can change your entire life. By incorporating a chasteberry tea routine into your daily regimen, you help to even out your moods and improve the way you feel. For men, a strong libido can interfere with a religious profession. Chasteberry tea offers a natural solution to help men who have chosen celibacy. Monks used to chew on parts of the chasteberry tree to help keep their vow of celibacy. Low doses of chasteberry have the opposite effect of higher doses. For instance, a low dose stimulates breast milk production and a higher dose helps to cease milk production.